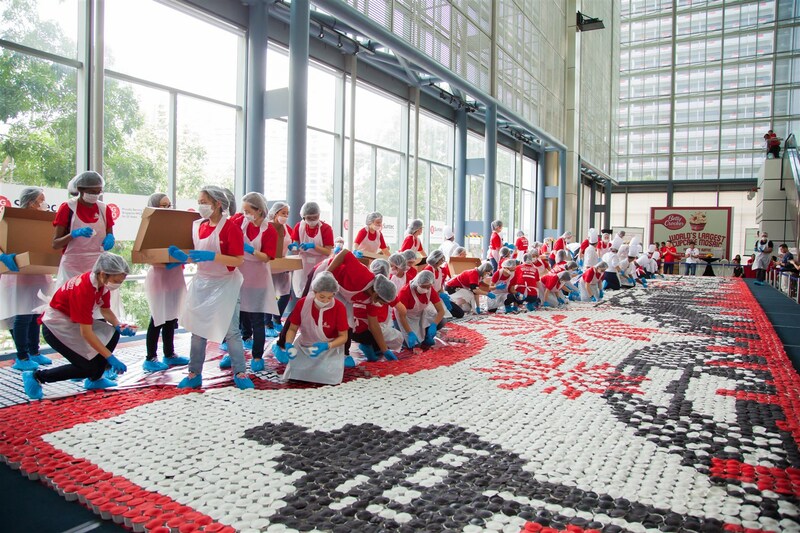 Betty Crocker, along with 500 volunteers, has made the World's Largest Cupcake Mosaic! 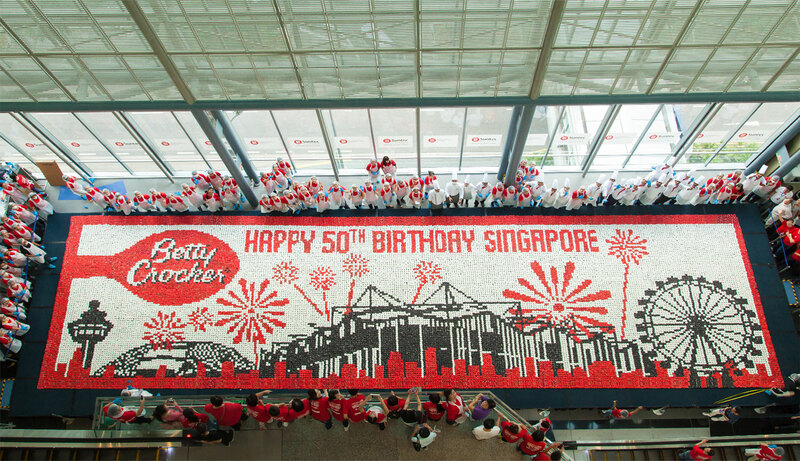 This super-size masterpiece was created to celebrate Singapore's 50th Birthday, SG50. 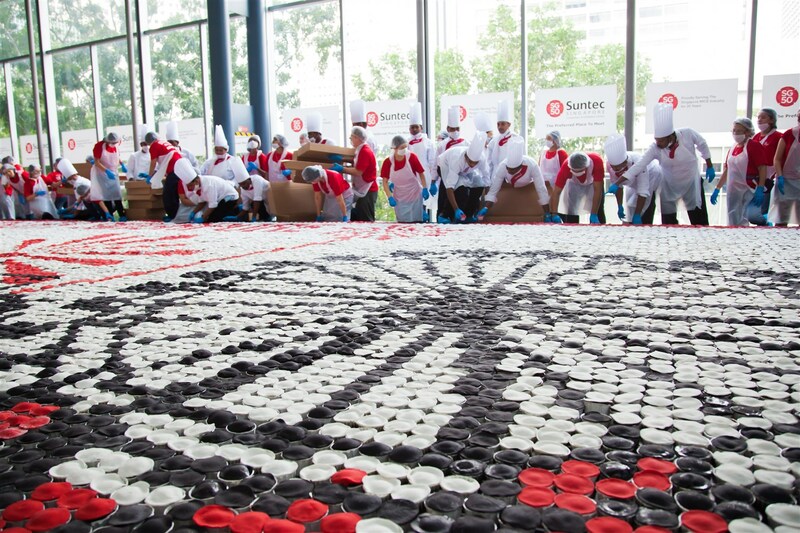 This mouth water feat was by no means easy; it took over 30,000 cupcakes to form the 133 m2 mosaic. 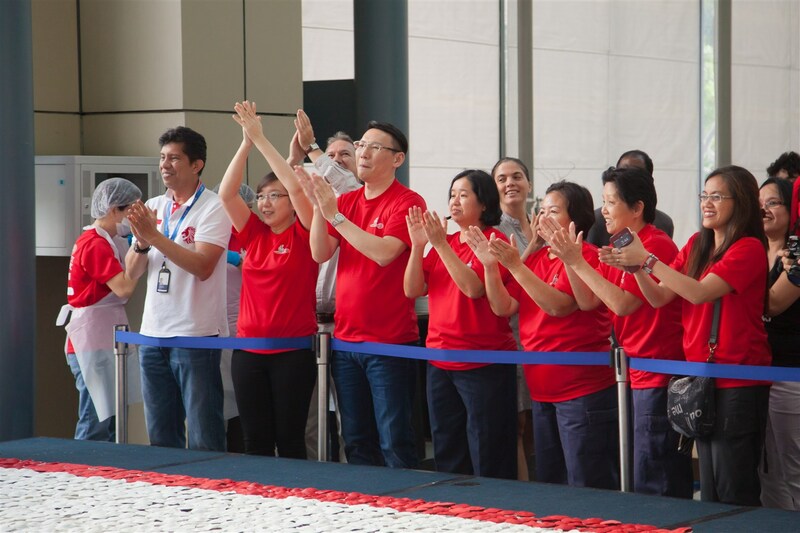 This commemorative event was designed to foster the Singaporean spirit of caring, sharing and togetherness and in keeping with this, the cupcakes were shared with the general public and non-profit organizations around Singapore! 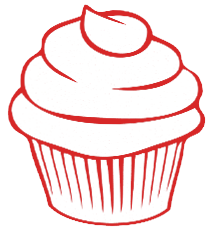 in the centre of the oven for 15-17 minutes or until a rounded knife inserted into the deepest part of a cupcake comes out clean. Leave to cool. Finally, whisk the icing and softened butter together for 1 minute until blended (adding up to 10ml hot water if needed). 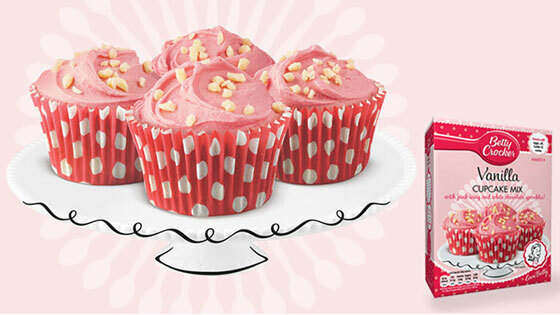 Spread on the cooled cupcakes and then scatter with the white chocolate sprinkles for a fabulous finish! 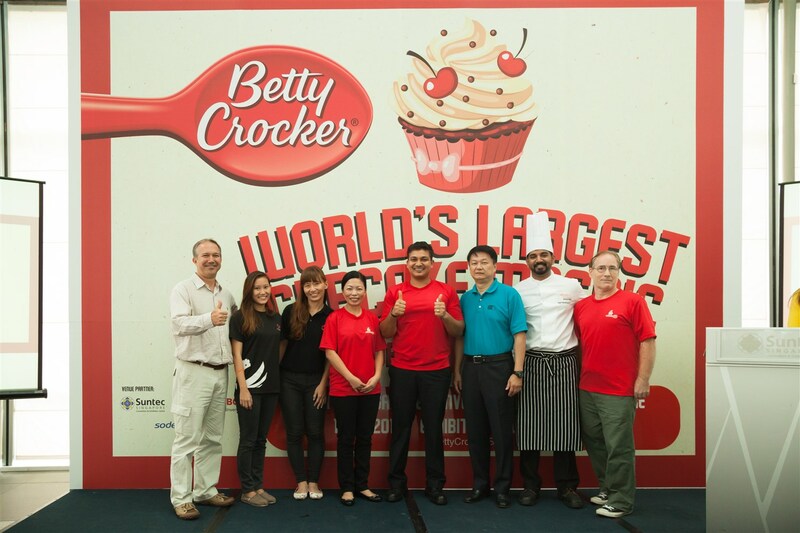 Betty Crocker has been a cultural icon and part of families' food traditions—not to mention a trusted source for recipes and homemaking know-how—for more than 90 years. 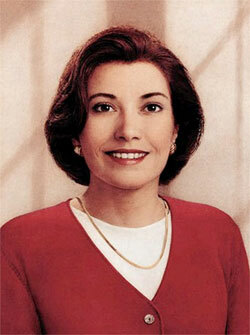 The Betty Crocker Red Spoon, designed by Lippincott & Margulies, Inc., began appearing on packaging in 1954. Its obvious tie-in with the kitchen made it a valued logo. 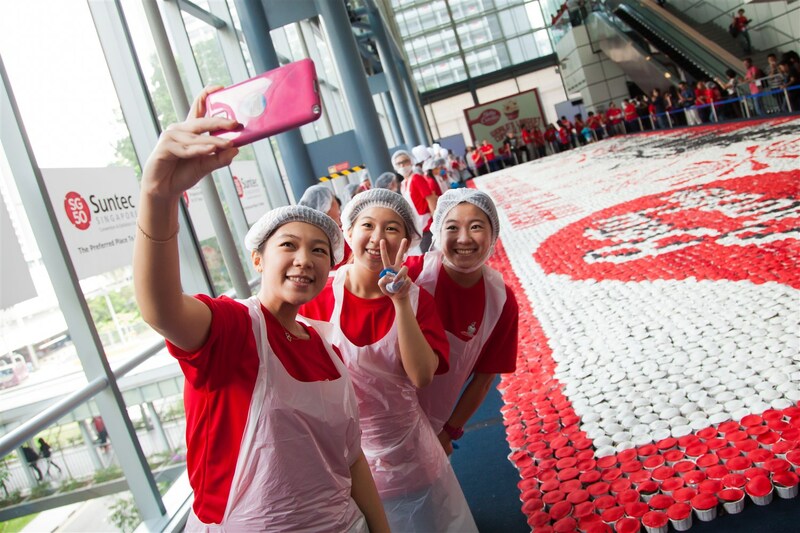 With just minor modifications over the years, it is the most recognizable symbol of Betty Crocker today. In addition to cookbooks and magazines, more than 200 products, including SuperMoist cake mixes, Rich & Creamy frostings, Hamburger Helper mixes and Bisquick baking mix currently carry the Betty Crocker spoon.